Not an island frequented by foreign visitors. 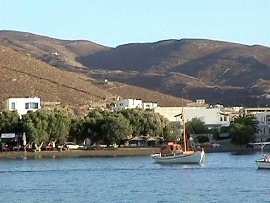 Kythnos attracts a lot of Greeks - and many of these come for curative properties of the famed thermal spa at Loutra. However the island offers nice quiet sandy beaches, a rugged interior for hardy walkers and excellent sea food. This is an island where you can find plenty to discover, confident in the knowledge that you are not sharing it with the rest of Northern Europe and beyond. 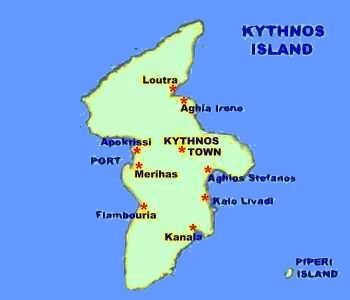 Kithnos also know as Kythnos - Peace and quiet - Uncrowded beaches - Excellent sea food.